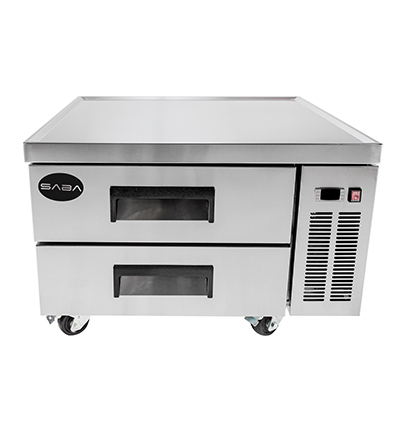 Saba two drawer chef base refrigerator SCB-36 gives you a great amount of space to store your goods at arms-length. 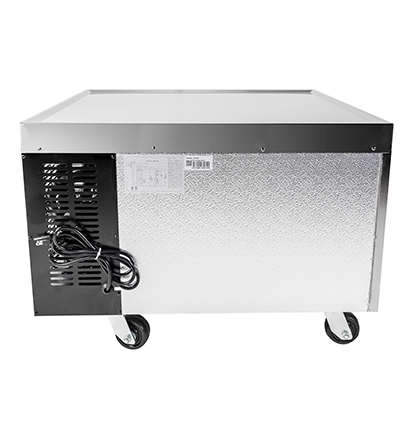 This design has a stainless steel interior and exterior with an aluminum finished back. 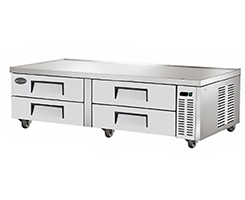 These chef bases are ideal for placing cooking equipment on top while storing your refrigerated goods underneath. 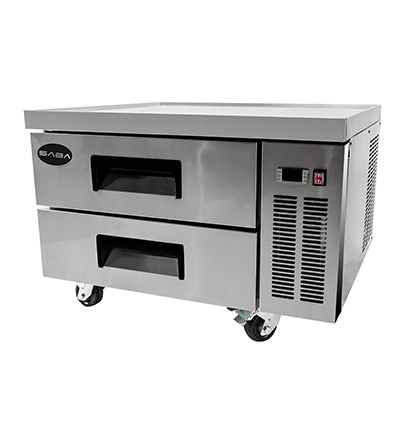 Saba Airs chef base drawer refrigerators are economical, yet designed to provide years of trouble-free service for any demanding application. They are recognized for having the best warranty that is supported by a network of authorized service technicians to protect your long-term investment. 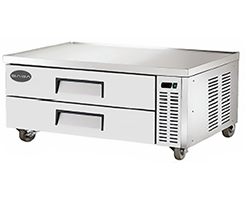 • Storage capacity: This unit contains plenty of room for all necessary ingredients with 29 cu. 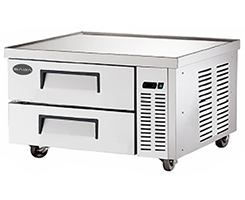 ft. of storage capacity and two drawers that fit one full size food pan each. 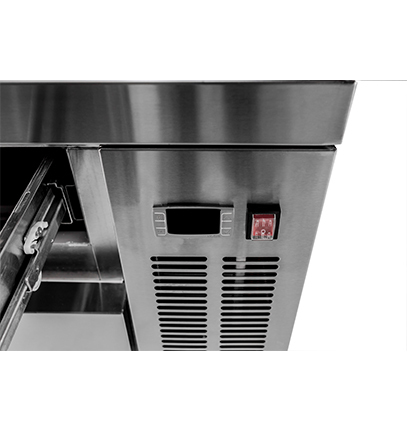 • Digital Temperature Control: Easily adjust the temperature between 33-41 degrees; the LCD display allows you to easily keep track of the unit’s temperature in order to always keep products properly cool. • Magnetic Door Gasket(s): The door gaskets require no tools for removal and are easy to take out for cleaning or maintenance. 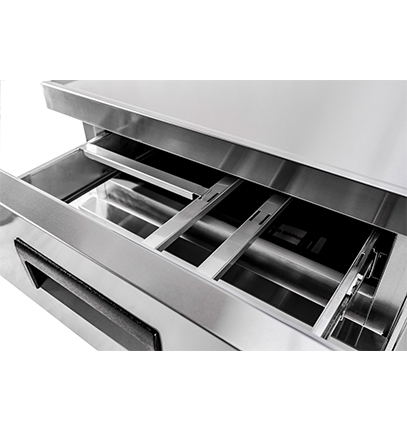 • Cabinet top: one piece, heavy duty reinforced stainless steel with drip resistant “V” edges to protect against spills. • Casters: Merchandiser is designed with heavy duty casters enabling easy movement and cleaning of product.